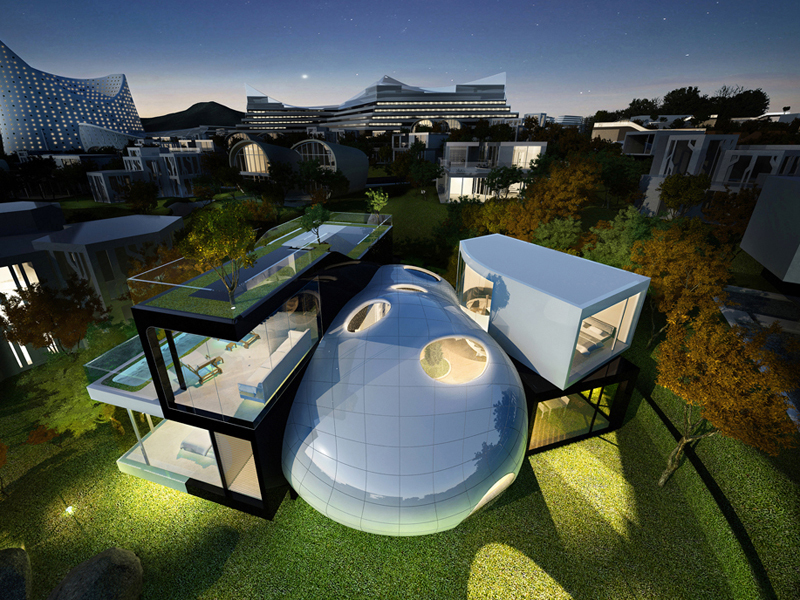 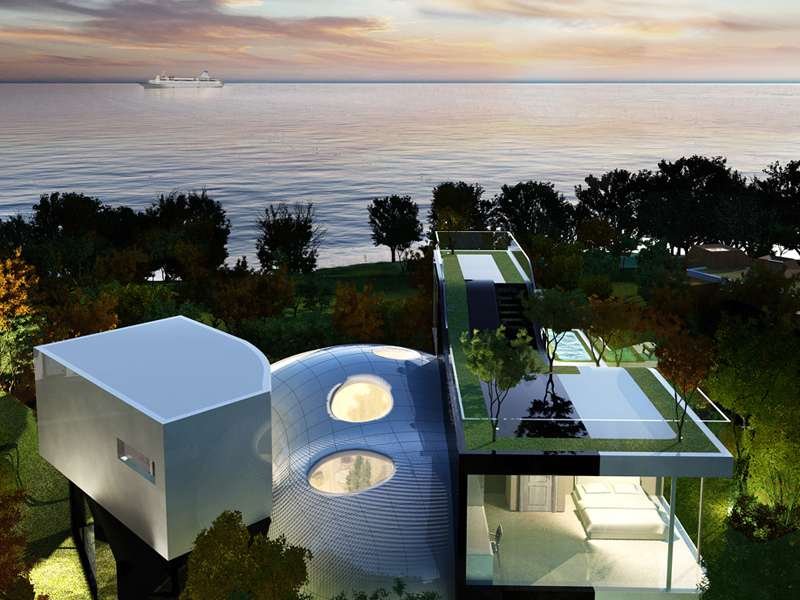 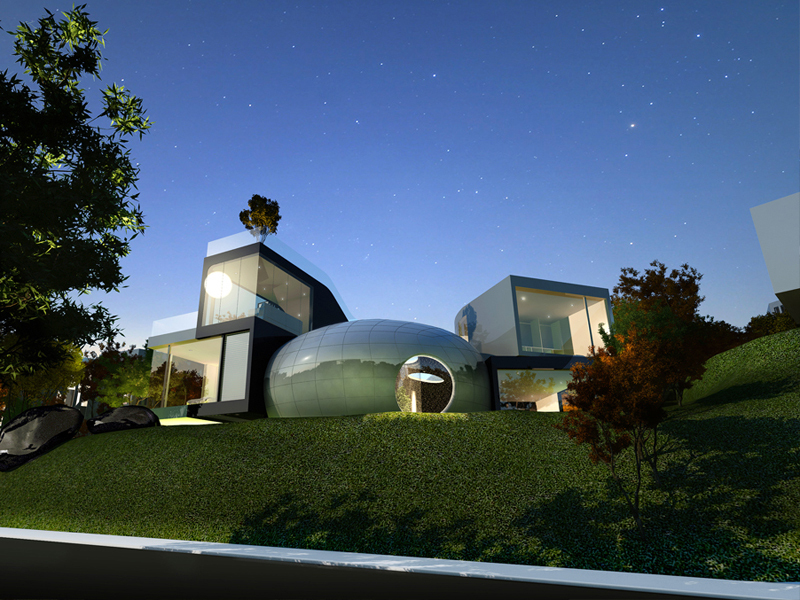 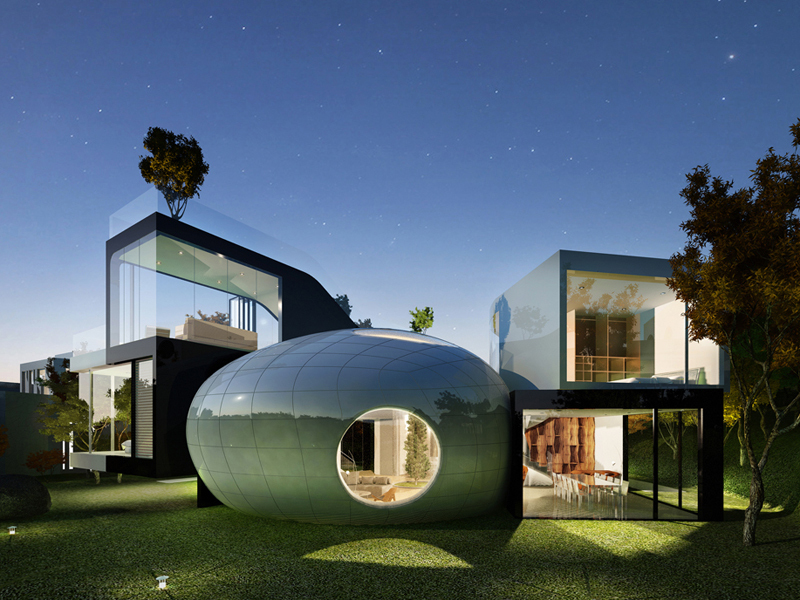 ‘Gotjawal Cocoon House’ is inspired by volcanic topography of Jeju island and a cocoon of living organism. 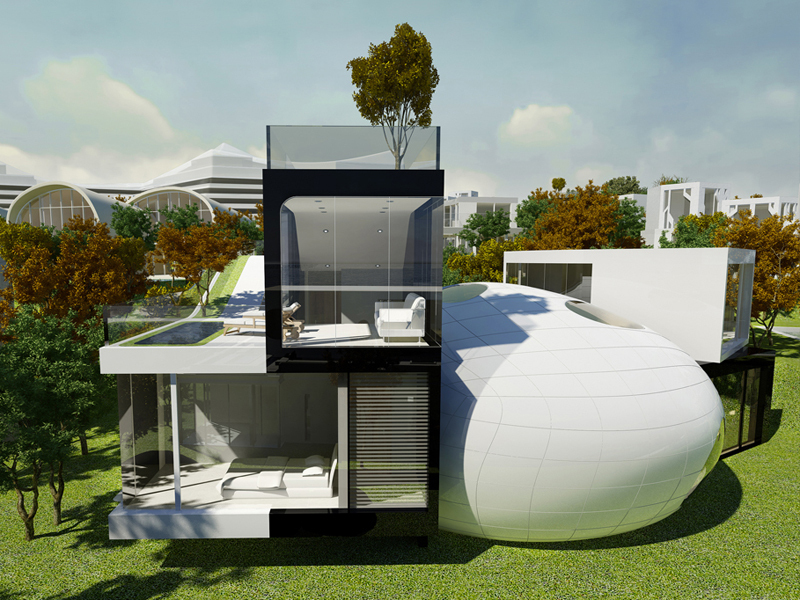 The cocoon located at the center of the house provides a space made by nature that protects and develops inner living things from outside. 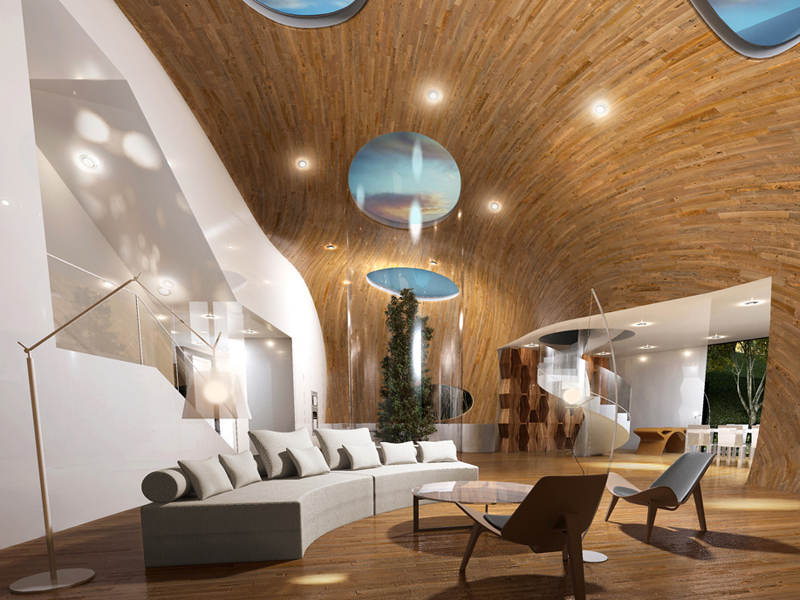 It creates a space like an art piece by translating the round shape of cocoon as an eco structure design. 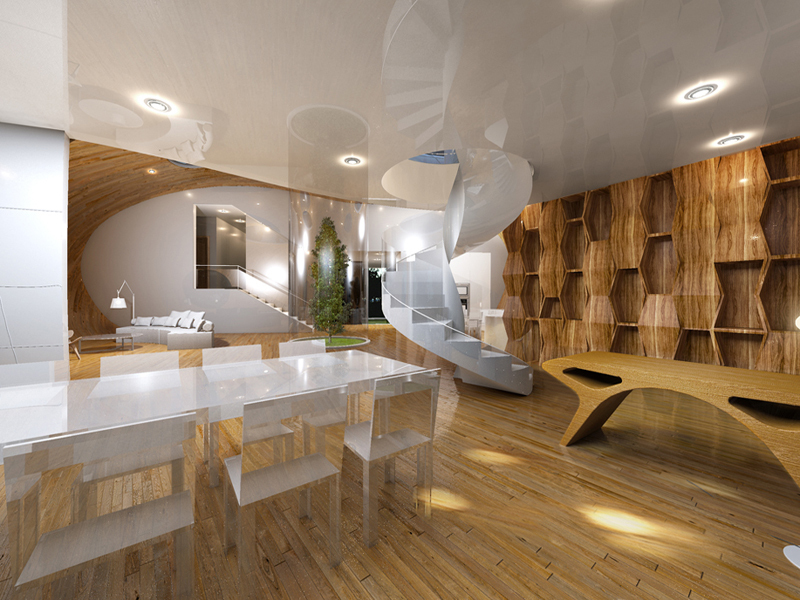 By blurring the lines between floor, wall and ceiling, it allows a mystic and inspirational space with new perspective and can be used for muti-purpose such as private gallery, library, and party space. 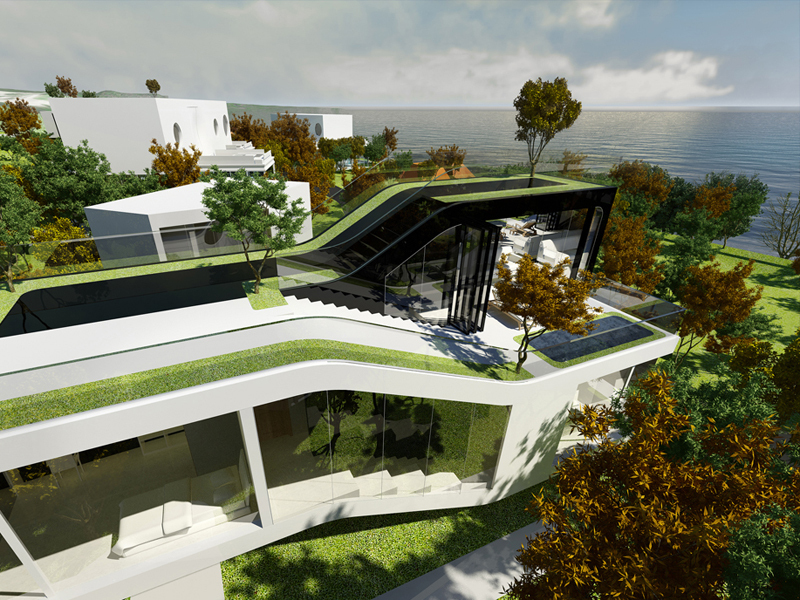 The volcanic island Jeju where this house will be located has a unique forest called ‘Gotjawal’ with mild temperature and high humidity throughout the year that enables coexistence of diverse living things. 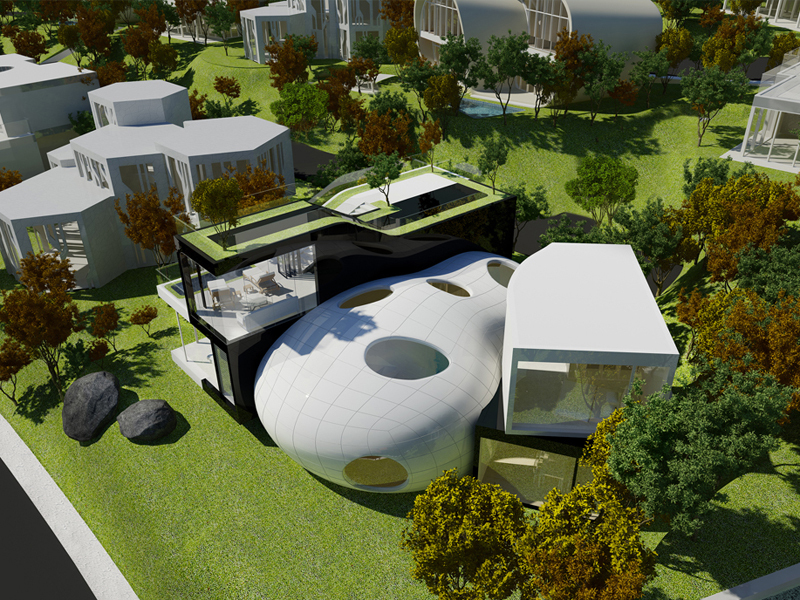 By applying these characteristics of the forest, we plan to use environment-friendly interior and exterior finishing materials made from Jeju to make a healthy and pure house dealing with the four distinctive seasons. 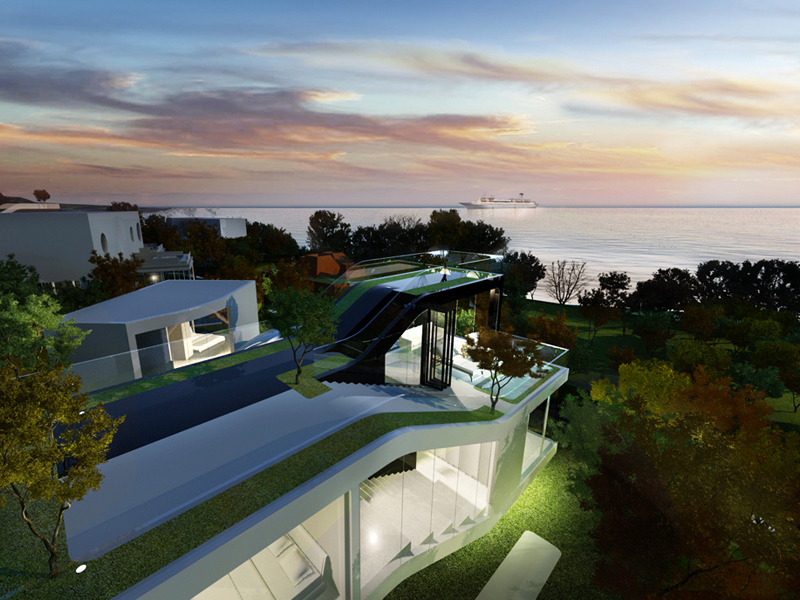 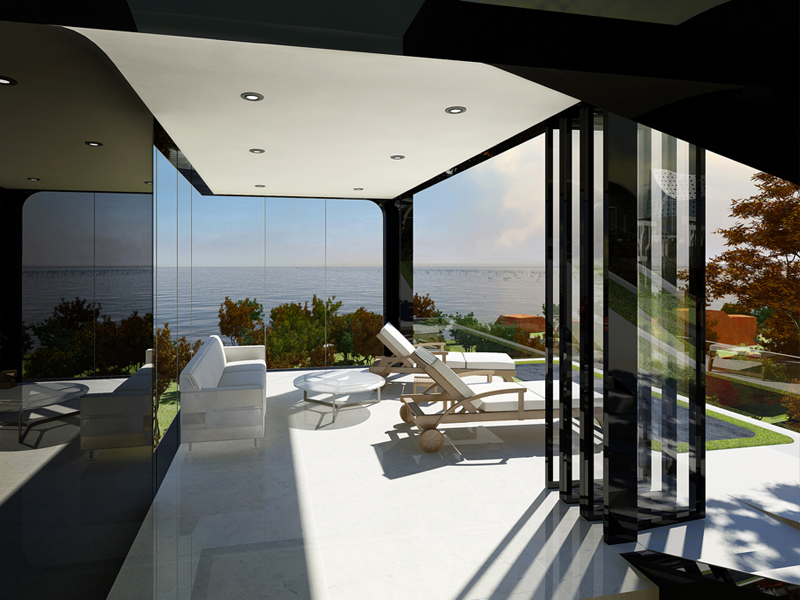 This ‘Gotjawal Cocoon House’ is a high-end condominium located in ‘Gotjawal Village’, the first phase of the ‘Jeju Airest City’. 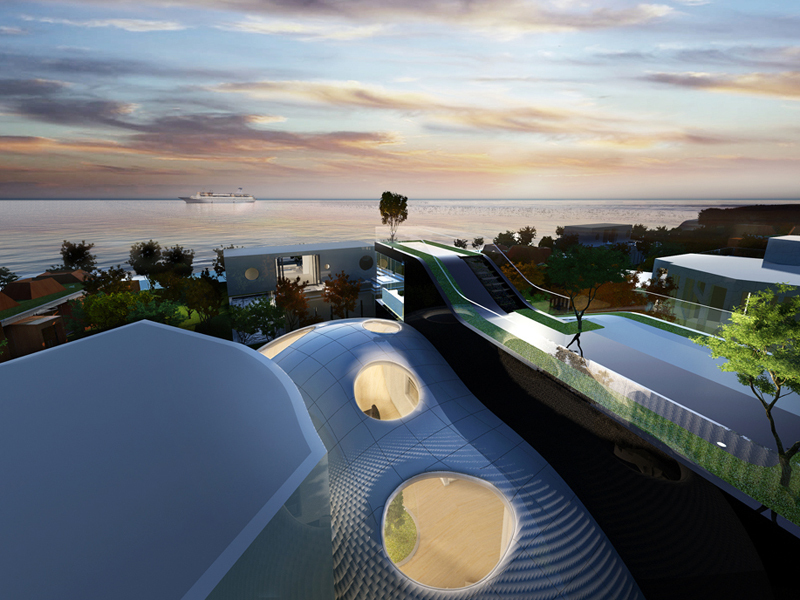 ‘Jeju Airest City’ is the biggest integrated resort development in the history of Jeju island comprising various resort facilities including shopping mall, casino, hotel, medical center, and new concept of condominiums. 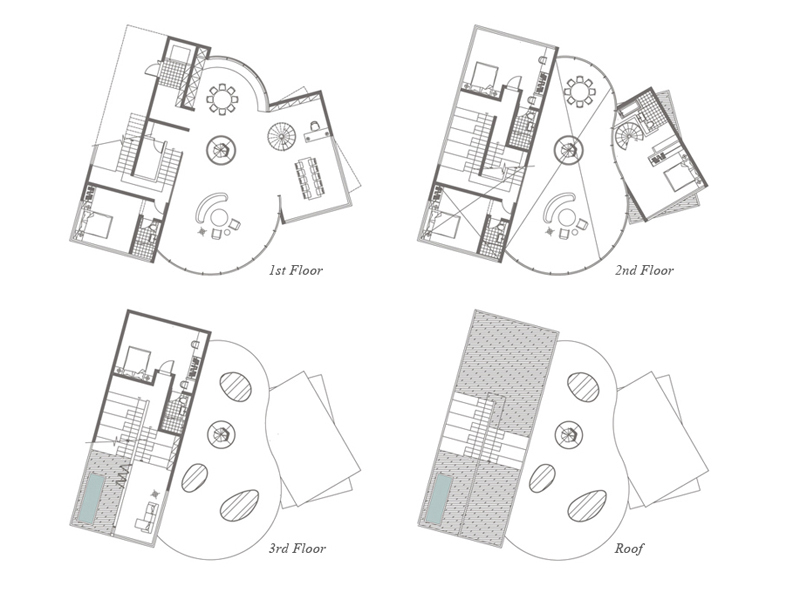 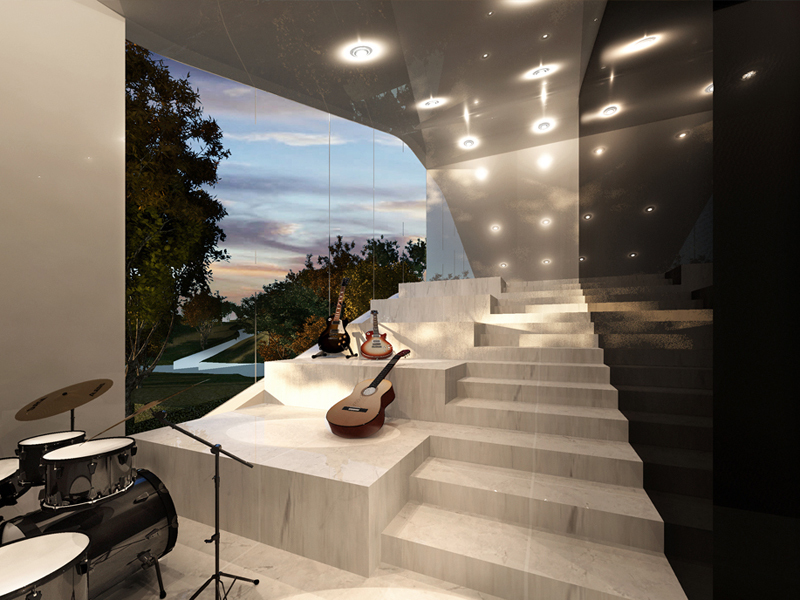 This house was featured in archdaily & designboom.